Wedding planning is in full swing! We're just under 6 months away so we've got to get on with the list. In the last couple of weeks we've sorted our wedding rings, the decorations and flowers, the invites... and we already have loads booked into January like send out invites, pick Sam's suit, pick mum's dress, give our notice to the registrar and try out the menu! We're also going to be making our own wedding cake with help from Sam's aunty so lots on. 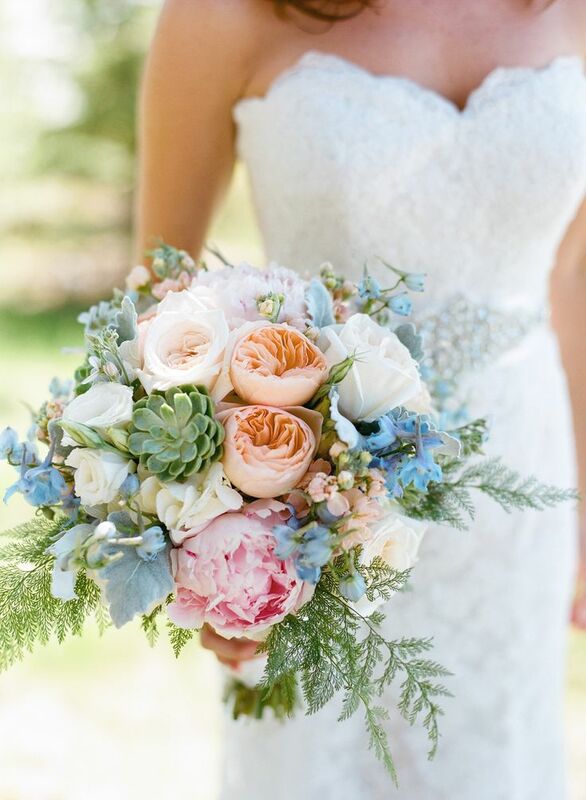 I'd love to blog loads about my wedding, but equally I don't want to give away some of the surprises! 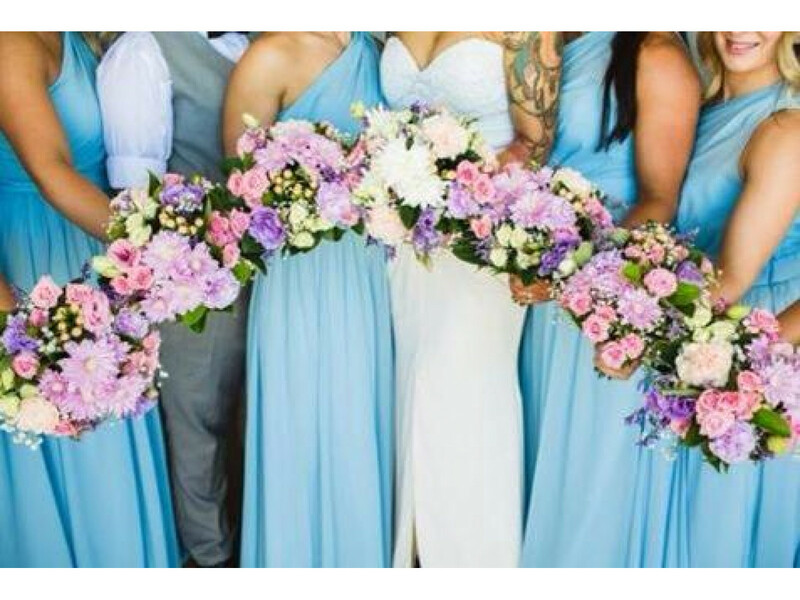 We liked the mixture of blues with other lovely spring/early summer colours like blush flowers, lavender and ivory. We started by ordering a dress from crystal dresses. 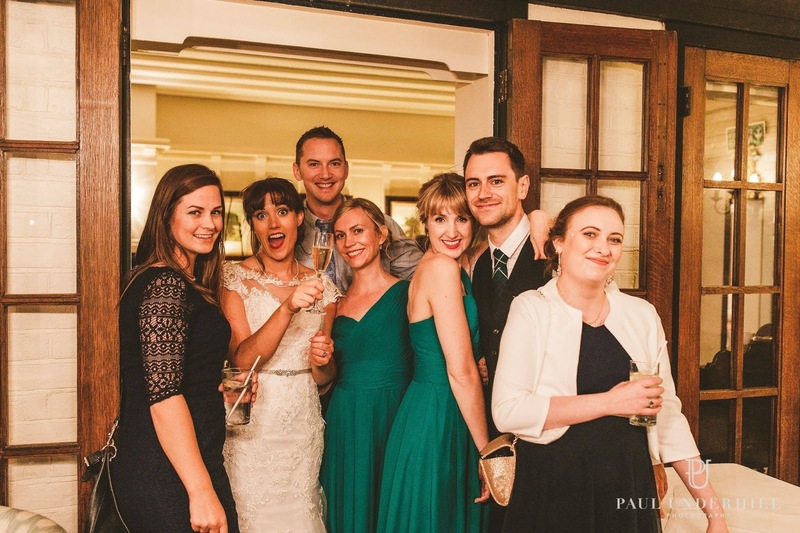 They had excellent reviews on Facebook bridal groups and looked lovely. It came made to measure with a lace up corset back and cost around £40. 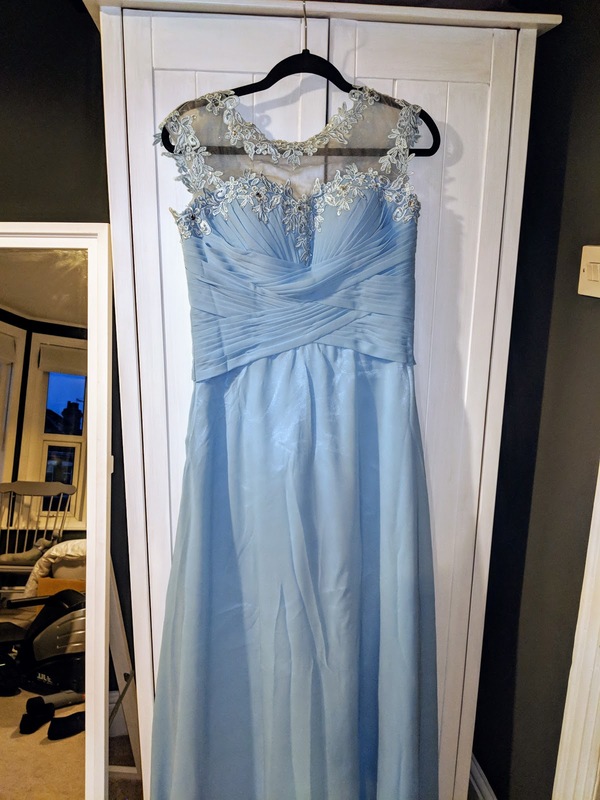 The dress arrived about a month later. 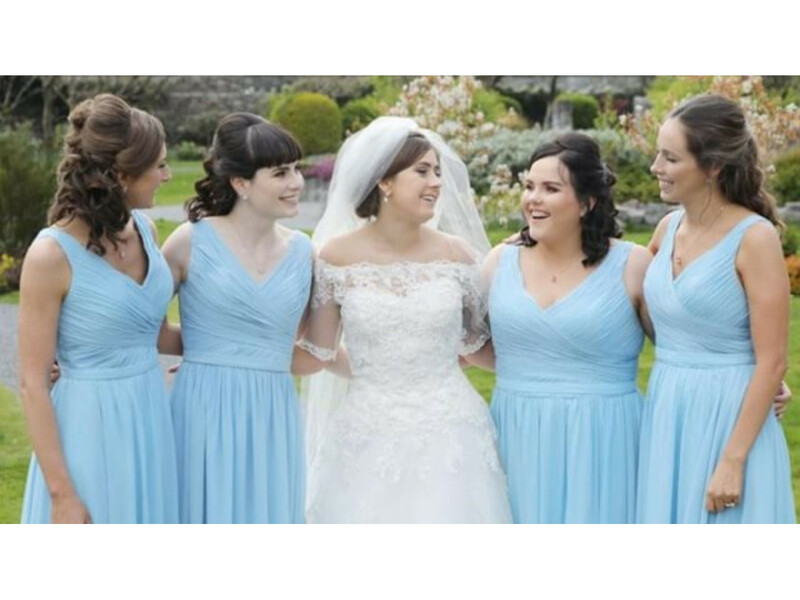 It was very pretty and fitted one bridesmaid Beth very well. 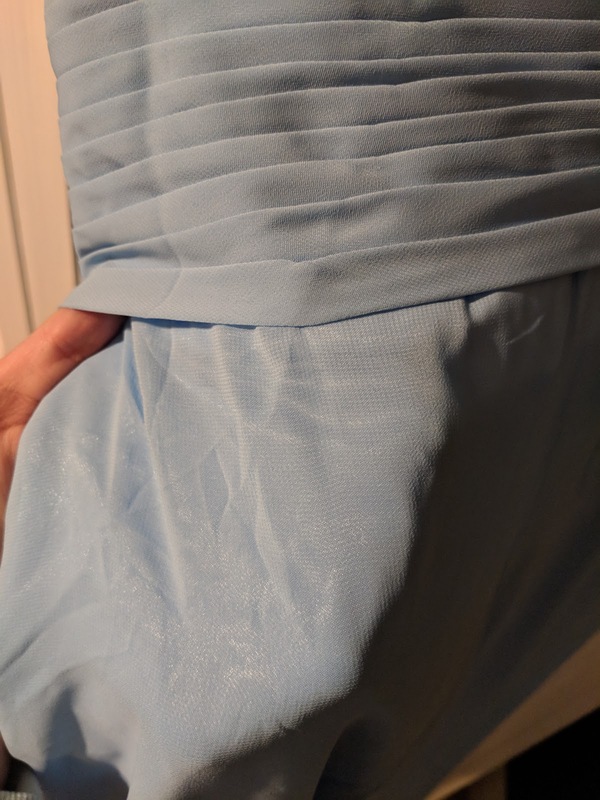 However the dress was too light blue, and the I felt the quality was poor. The top was lots of layers of chiffon, but the skirt was only one layer with a really shiny lining. You could see the shine popping through on the skirt and under flash photography it glowed! 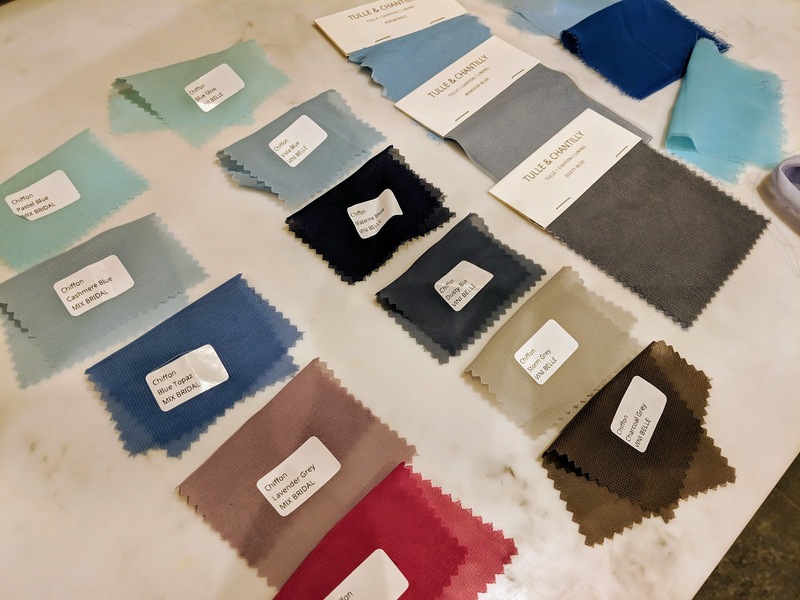 Finally we ordered swatches from MixBridal and Vinibelle. The websites looked strangely similar and had some of the same colours so I emailed them who confirmed they were actually the same parent company. The companies have different styles of dresses and some different colours from each other. The quality of the dresses is something I know about - one of my bridesmaids Jen had Mix Bridal dresses for her wedding where I was a bridesmaid and Sam was a best man! Blue Topaz: seems to fit the theme! 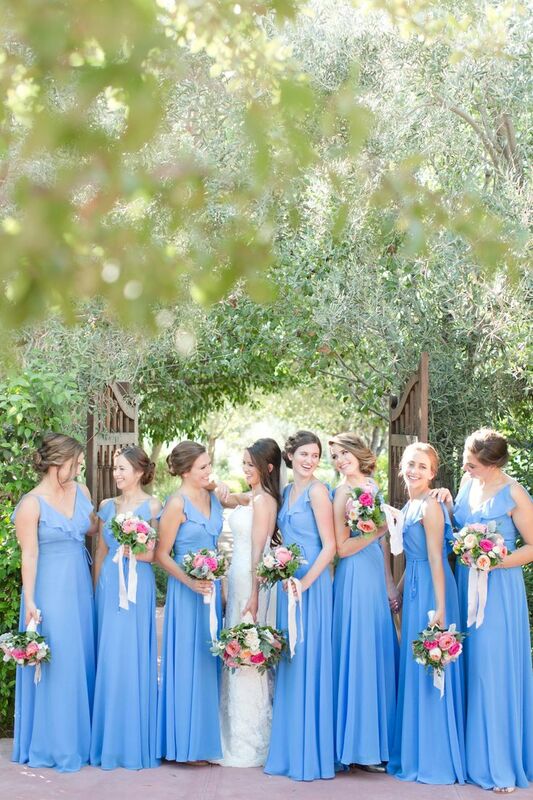 We're now waiting for the bridesmaids to give us their measurements and we can order the dresses. 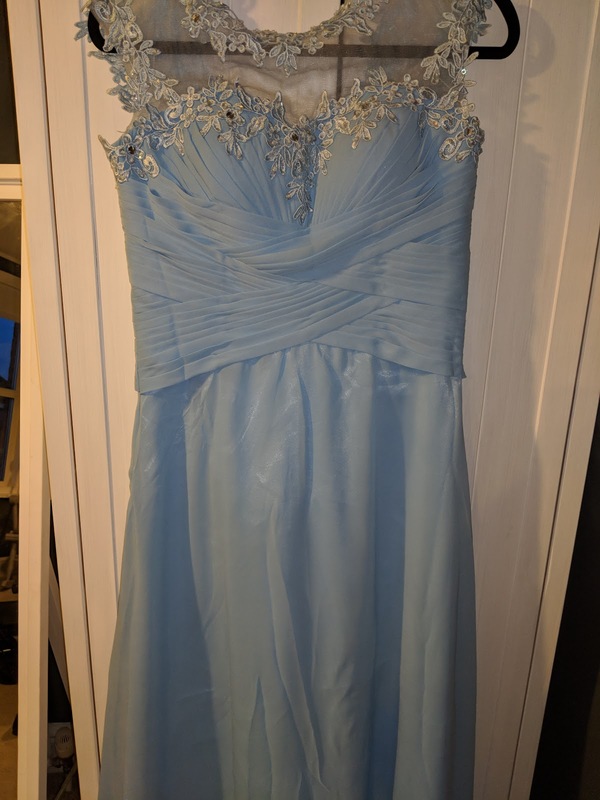 We're going for the made to measure option which is around £90 a dress. They say they're on sale right now, but they seem to have been on sale forever! 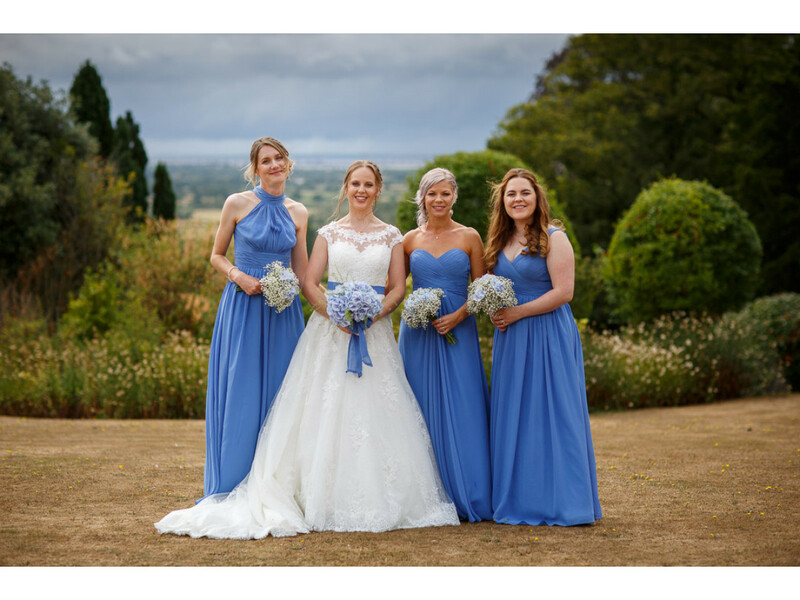 What have I learnt about buying bridesmaid dresses? 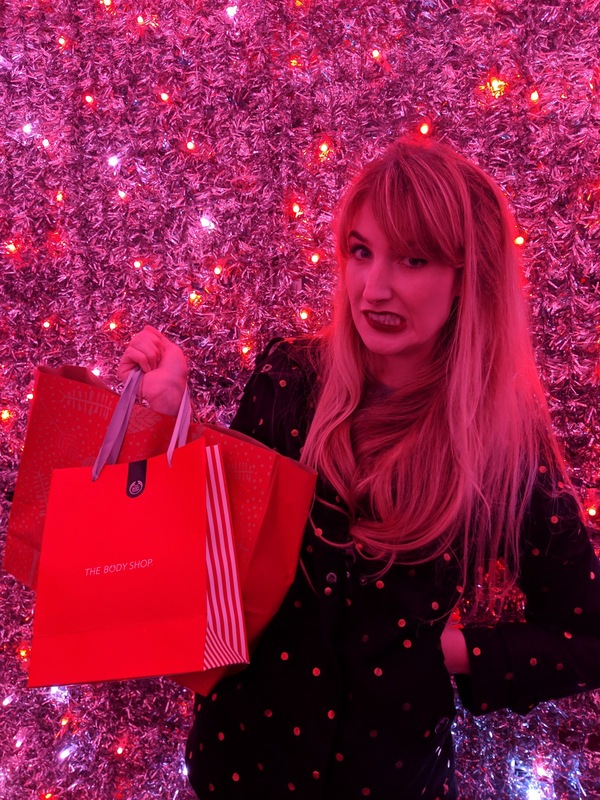 Definitely check out Facebook wedding pages for ideas of where to go and check out ASOS and highstreet places with a free return policy first. 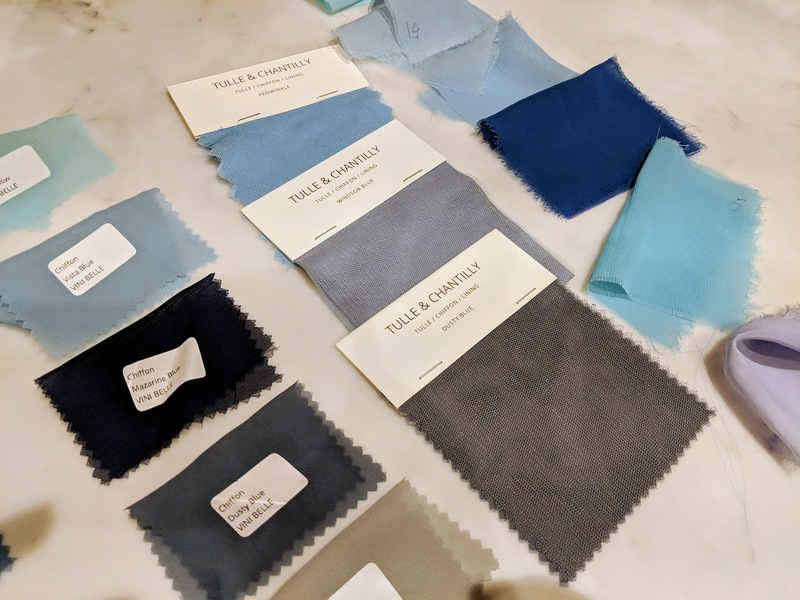 If you are going to go the made to measure route like we are, then spend hours looking at everything on the company's Facebook, Instagram and through googling for real wedding photos to see how they look. Also, it doesn't hurt to start early and buy a test dress if you have the budget to potentially go wrong! 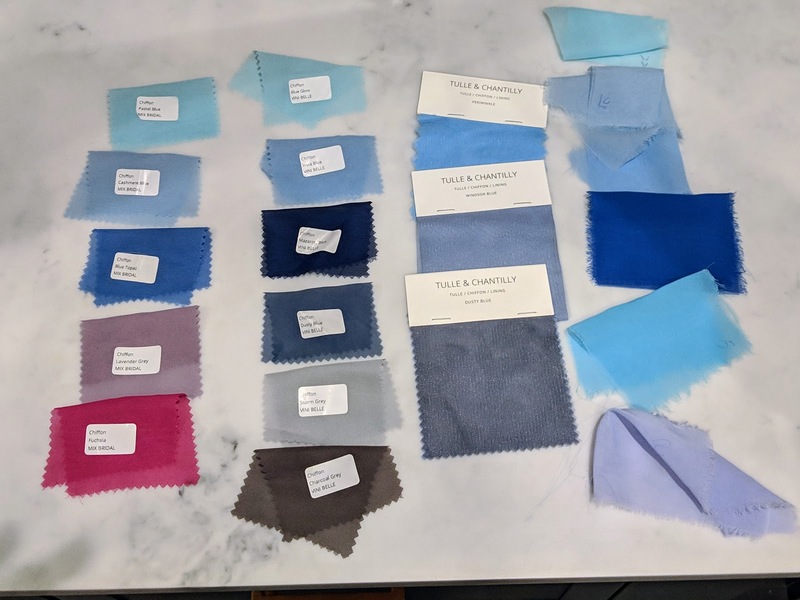 Remember though if you order a test dress, when you order the others later they might be a different batch number and the dyes may be slightly different. Look! I have lippie on my nose! I don't know how I do it! 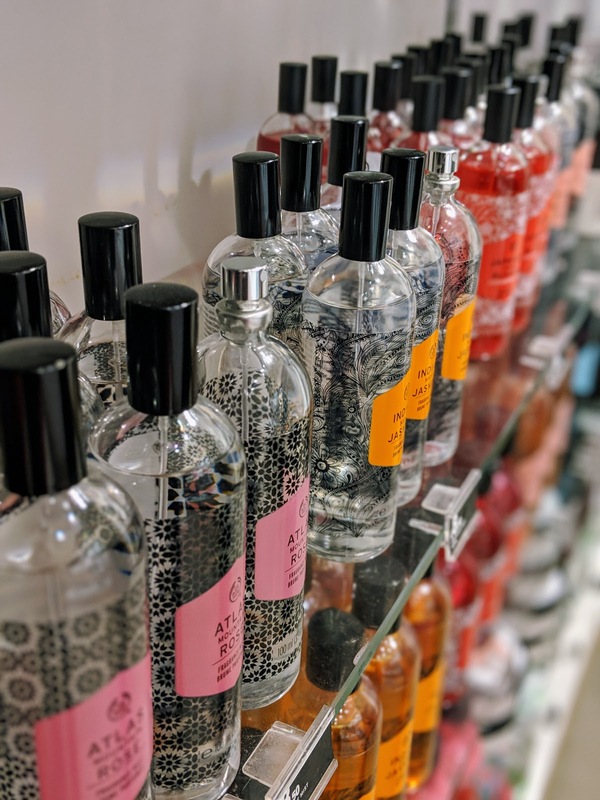 Sarah was a big fan of the perfumes. She bought a few as presents for friends. 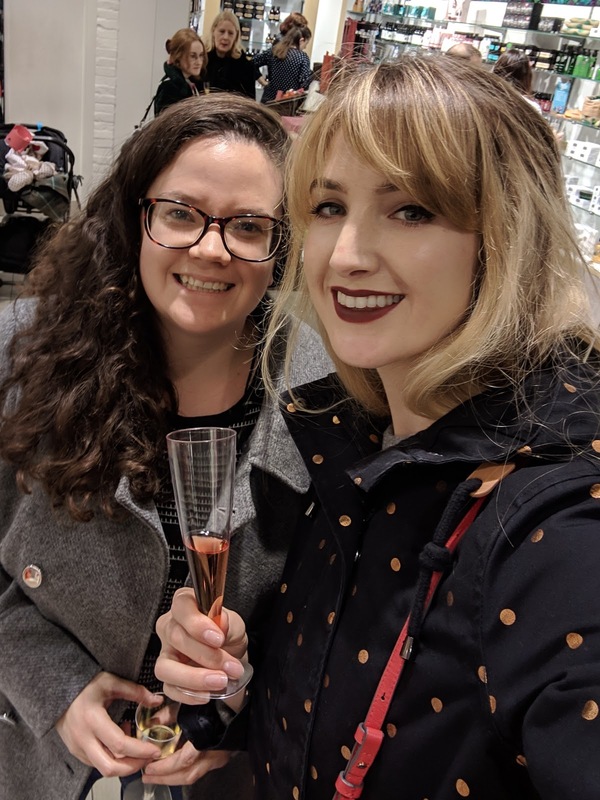 We really liked the atlas rose one - it wasn't too "rosey" like Turkish Delight and wore really nicely. The lip colours were lovely - I was really taken with the bright one at the very end. 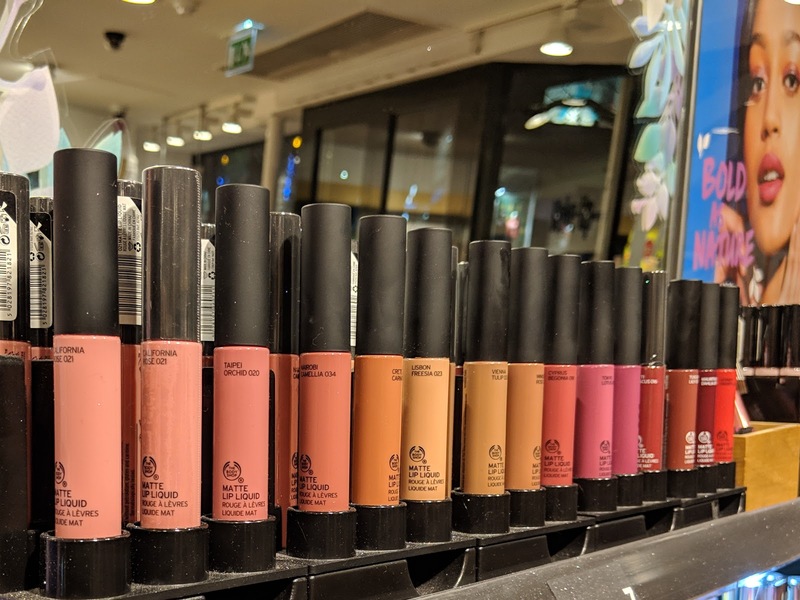 I didn't get one - I was waiting to see if I already had the same shade in another range because I have a terrible habit of buying the same colour again and again! They also had a spray on glitter (see the slow mo!) which was amazing (and EVERYWHERE). We all came away with it on our clothes, in our hair, everywhere. The lady in the store also said you can spray it on wet nail varnish to give a sparkle. 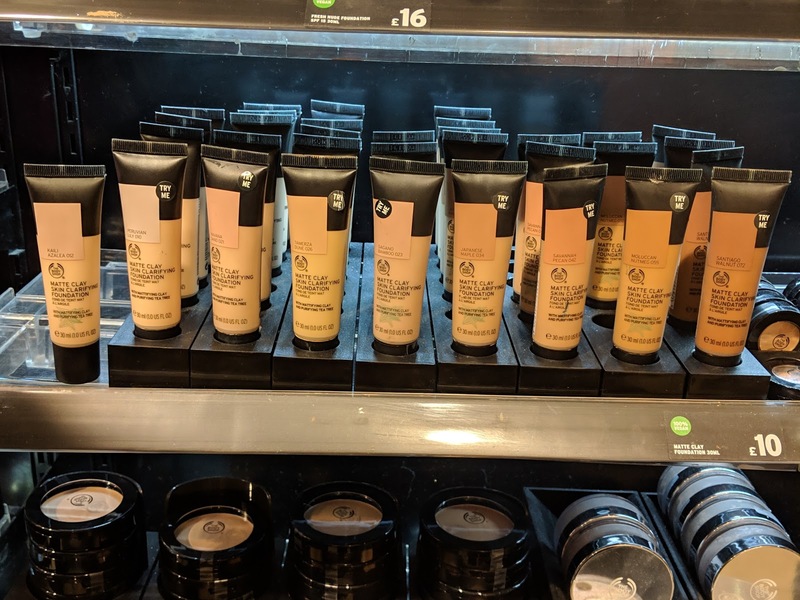 I bought one of these foundations - They are Matte clay skin clarifying foundations and have a tea tree smell. 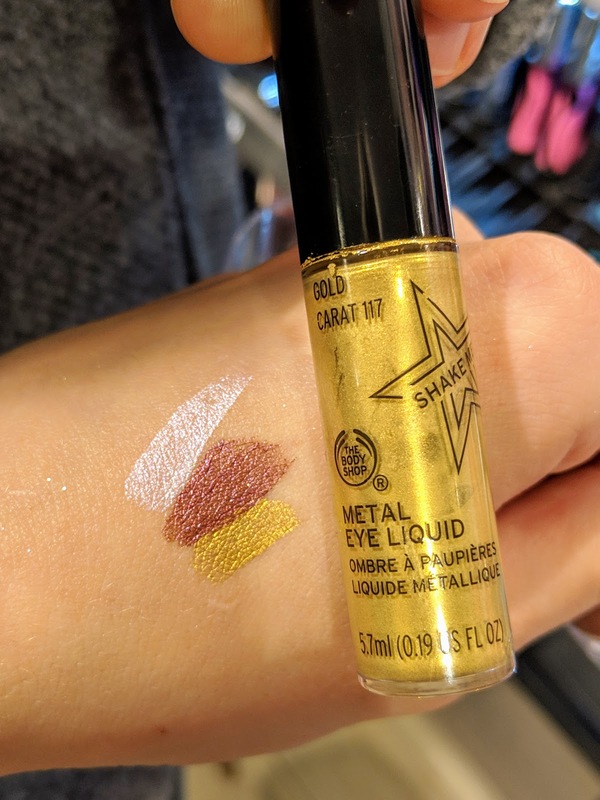 I've only tried it once so far, and it was VERY matte. My sister in law loves them so I think I need to get some help from her to work out how to apply it well. 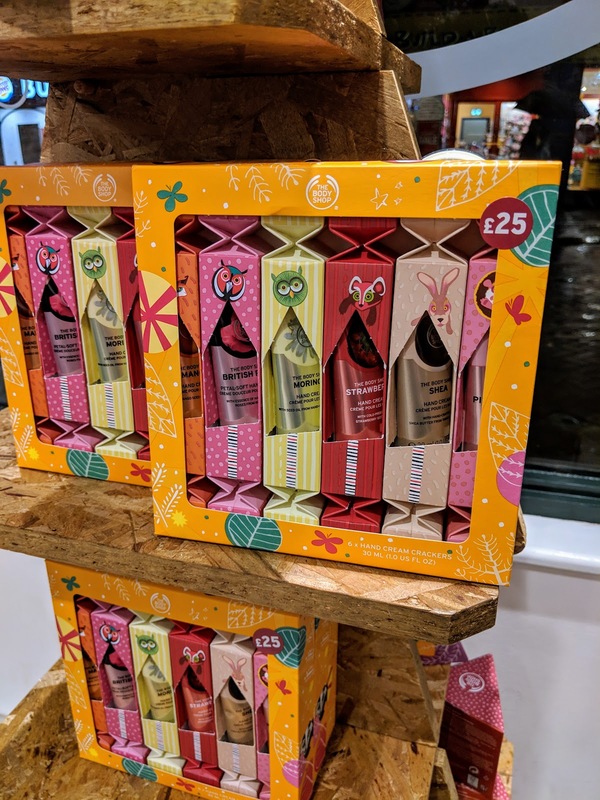 I found these gorgeous hand cream crackers which would be awesome for any girly Christmas party. 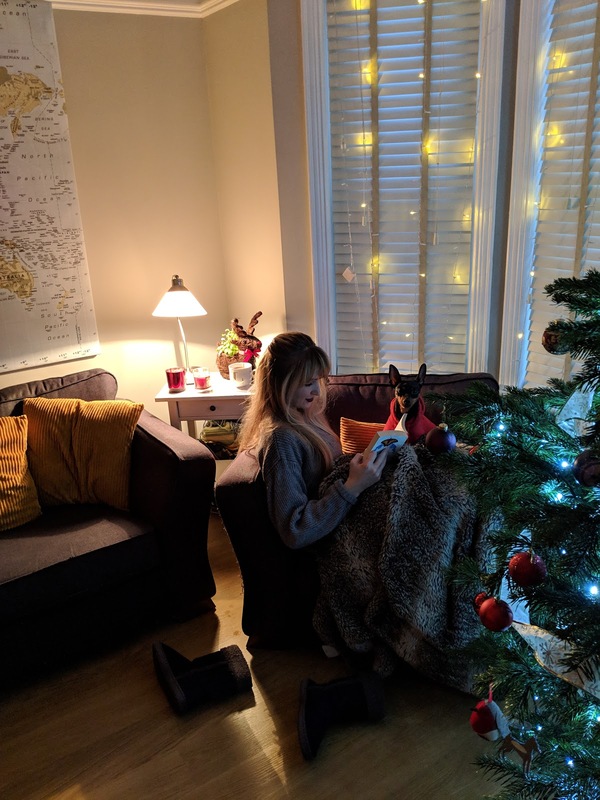 How are you getting cosy and keeping warm this winter? Chums challenged me to keep warm without turning the heating on, which if you know me isn't something I am good at! I've been doing lots of knitting recently - I just finished a chunky hot water bottle cover and I've started knitting scarves out of all my leftover wool. 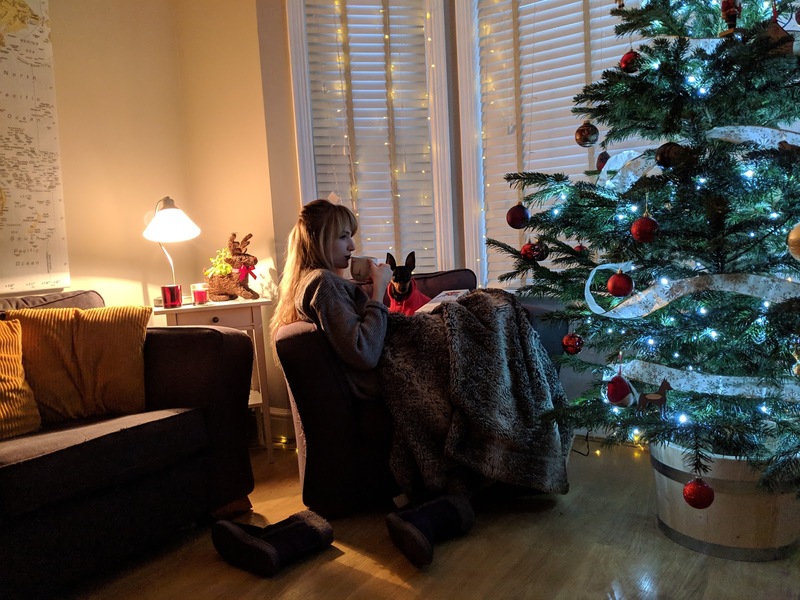 Ad - this post was sponsored by Chums, but all images and words are my own. 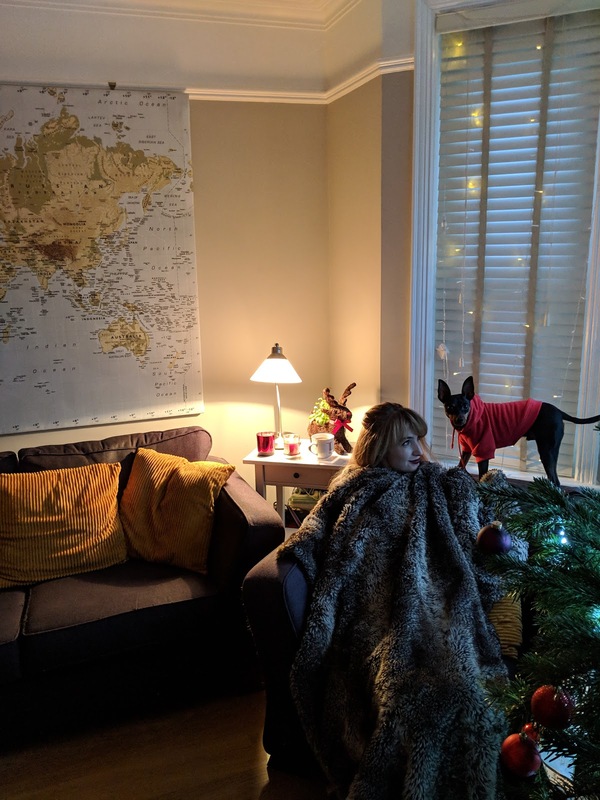 Christmas is one of my family's favourite times of the year. We love getting together, eating lots of food and snuggling down. 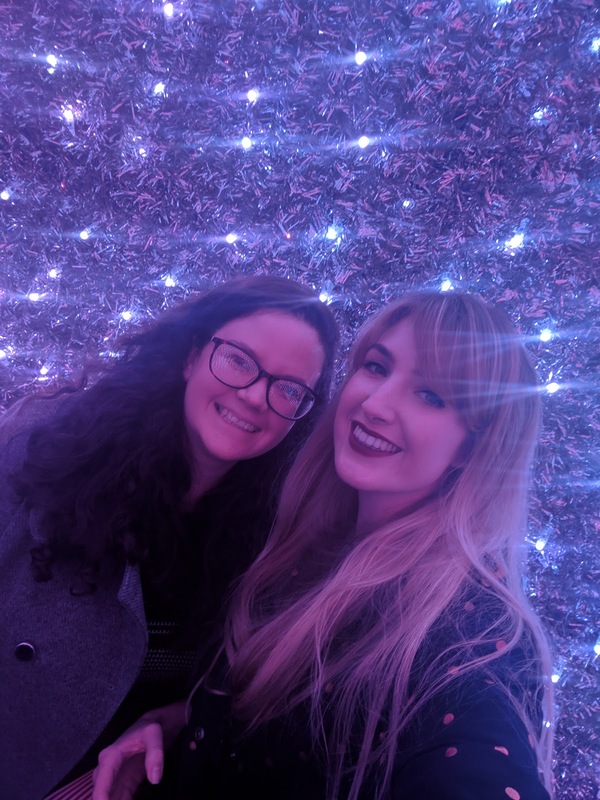 This weekend I have my best friend Sarah coming to stay. 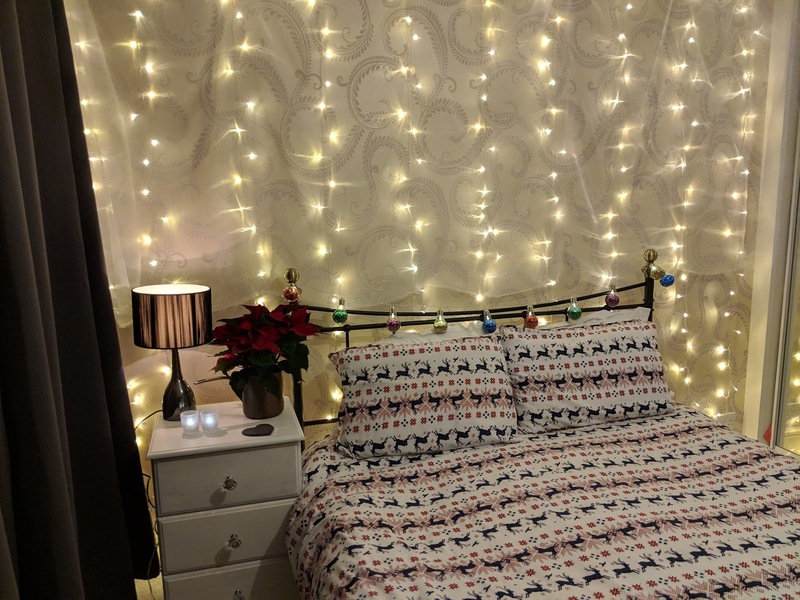 We haven't decorated the spare room yet so I've done my best to make it Christmassy and comfortable for her (and hide the horrible wallpapered wall). It's been the junk room since we finished renovating our room so it was a huge job to do today! 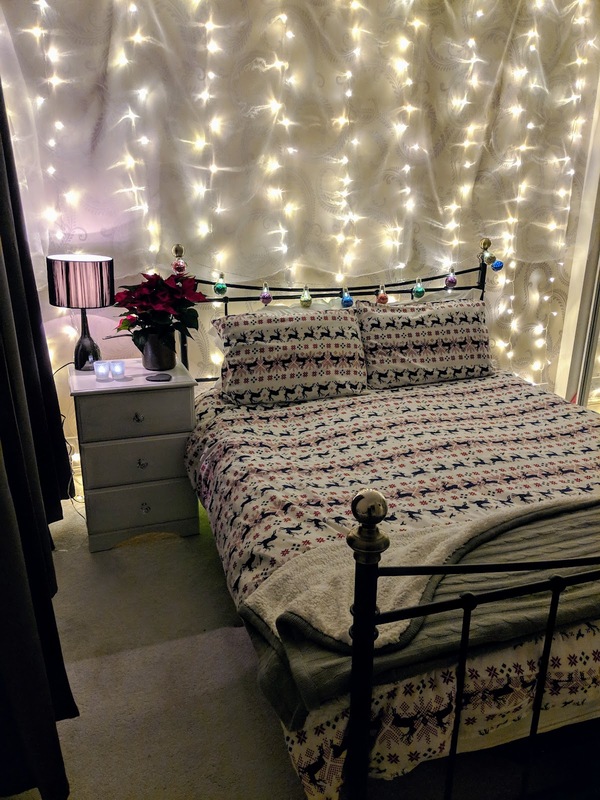 I put up a curtain of fairy lights and put some sheer tulle fabric over to soften the look. 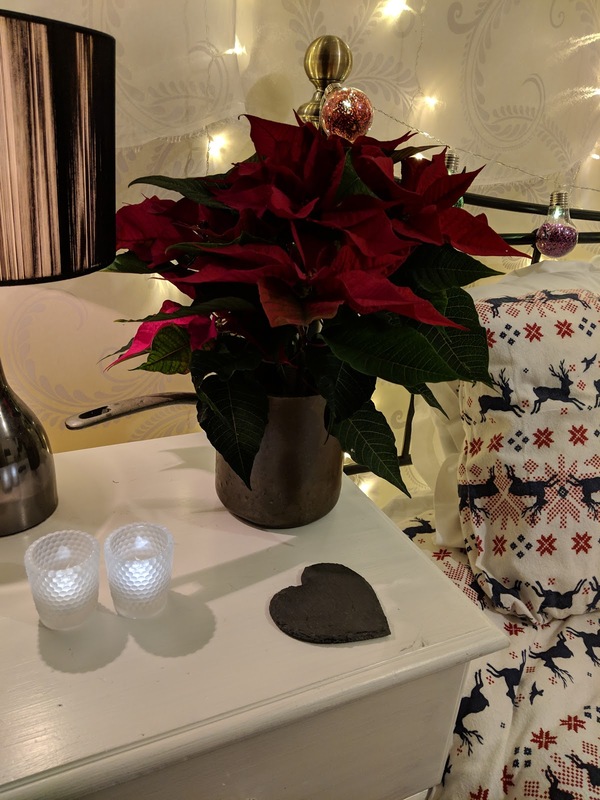 I then popped on my Christmas bedding and popped a poinsettia in an old bronze milk pan from my Nan. I need new Christmas bedding. Mine is very old from Primark. It's tatty and has blurry marks where I once spilt nail varnish remover on the covers (Sorry Sarah, I did my best). I have my eyes on some from Julian Charles including this tartan one and this snow flake throw with furry insides. 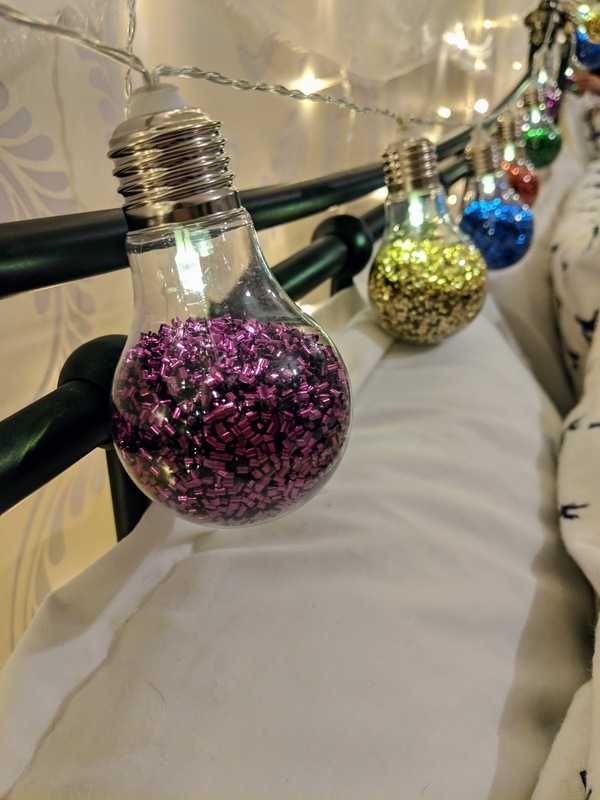 These amazing bead-filled bulbs were from ASDA last week! They're battery powered and I have been desperate to find somewhere to hang them. My partner Sam says they're annoying there because Sarah won't be able to sit up in bed! The bedside table is a cheap second hand one from Argos, which I painted in white eggshell paint and stuck massive diamond handles on! We don't have a matching one for the other side of the bed yet. This post was sponsored by Julian Charles, but all views, photos of my house and items in the room are my own. I can't believe it's one weekend until Christmas. I can't wait for my week off between Christmas and New Year. I've got a few parties, meet ups and family events so I'm thinking about what to pack for my time with my family now. 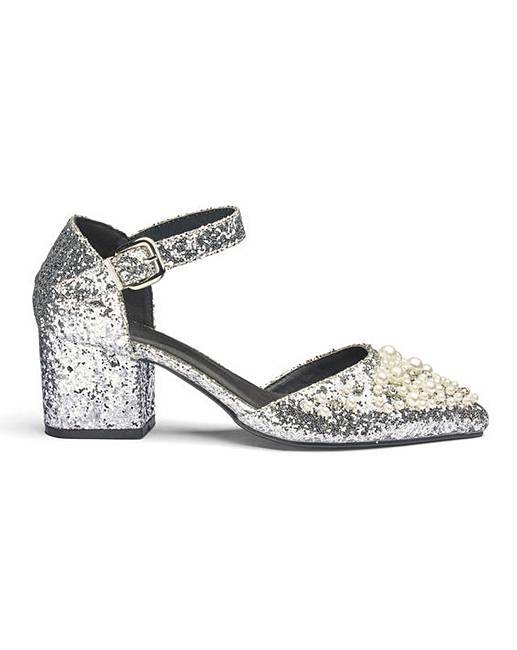 It's a rainy day here in Bournemouth and I'm in the house, I thought I'd share some of the lovely shoes I've found this afternoon on Simply Be. 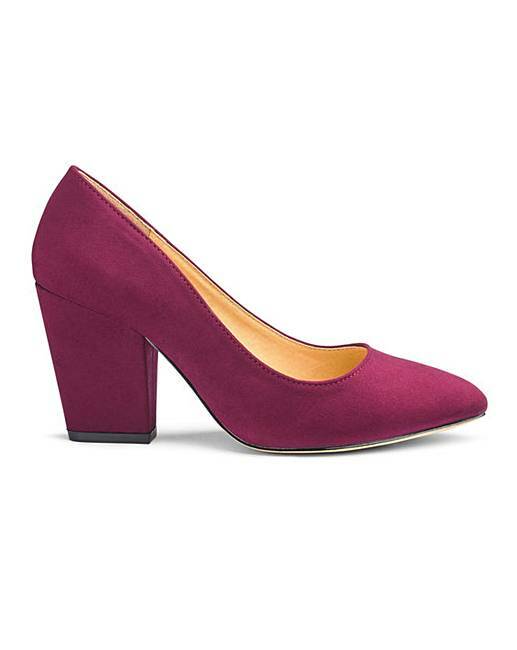 These plum ones (£17) look exactly like some I got a few years ago from Treds which are so comfy and go with loads of my outfits. 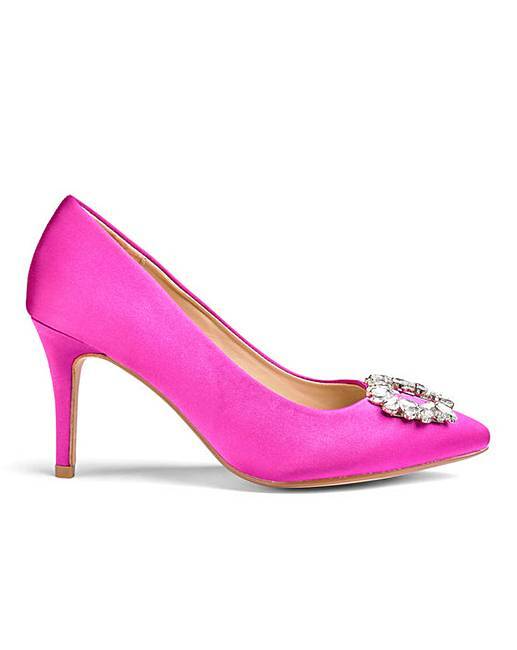 I'm considering getting them because mine are looking tired. 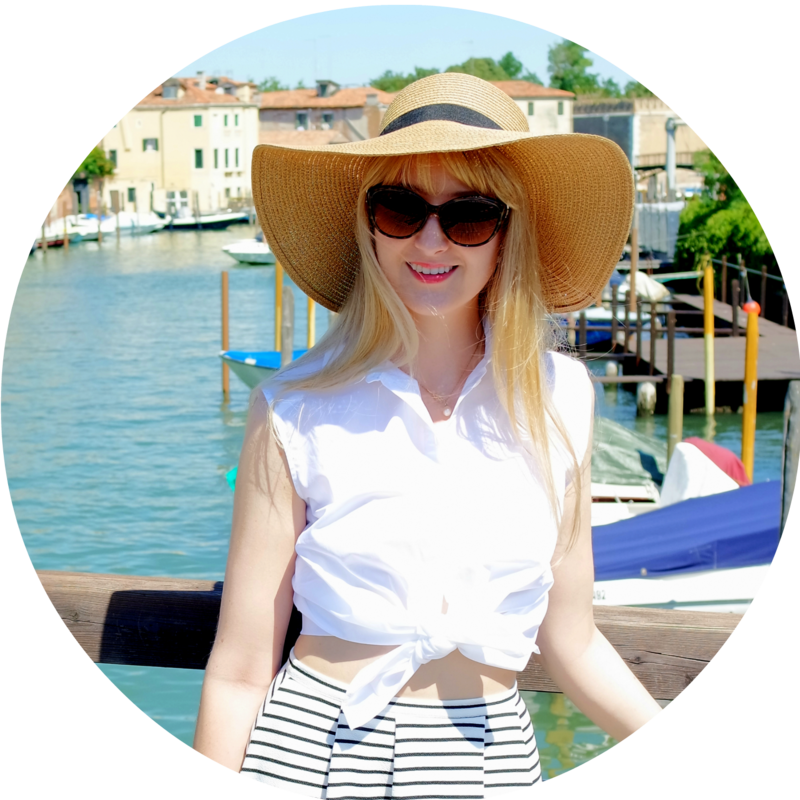 This was a sponsored post for Simply Be, but I only write about things which I actually like! Before: When we bought the house, the kitchen was old, there was a shower built into the room (!) which was taking out a huge corner meaning the fridge was over a window with a cable hanging down from the ceiling to power it. The cabinets were peeling laminate and the worktop was not doing well. The vinyl floor was very annoying as the pattern looked like there were muddy footprints all over and the whole place looked messy. The light was very poor from two light points and the position meant I blocked the light with my body when I was trying to cook! The first step was my fantastic family came around and put spotlights in and smashed out the shower cubicle so we could have a bigger kitchen. We also had a plasterer come and smooth everything over before the kitchen fitters arrived. 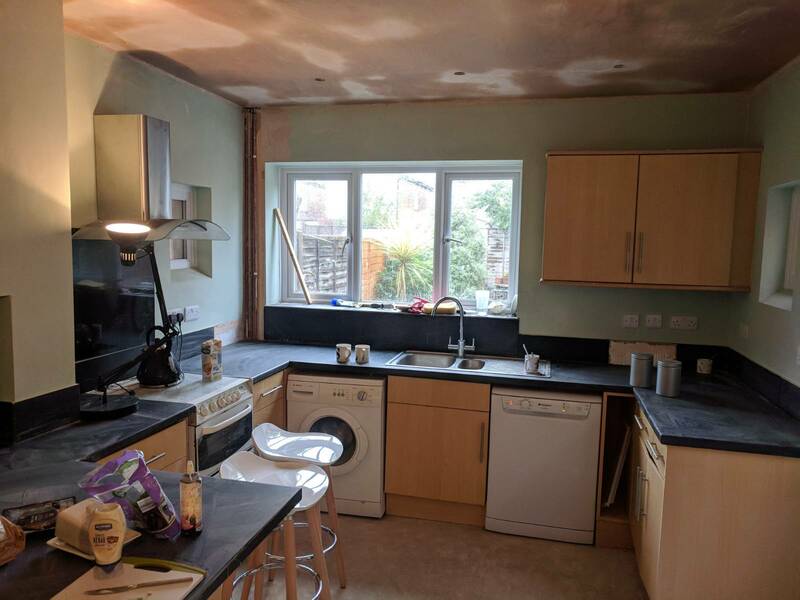 We got a local builders to help us from Ideal Improvements in Bournemouth to come and do the stripping out and fitting of the new kitchen. They were fabulous - Nick is so calm and reassuring which I needed and had ideas for how to fit everything. He was also a real perfectionist, changing how high or low the sockets were to make it all fit just so. Initially, we chose our kitchen from Magnet. It's the Dunham Midnight on the bottom cabinets and Dunham White on the upper cabinets. We went to Magnet in Christchurch and the lady who helped us design it, Tina, was fantastic. 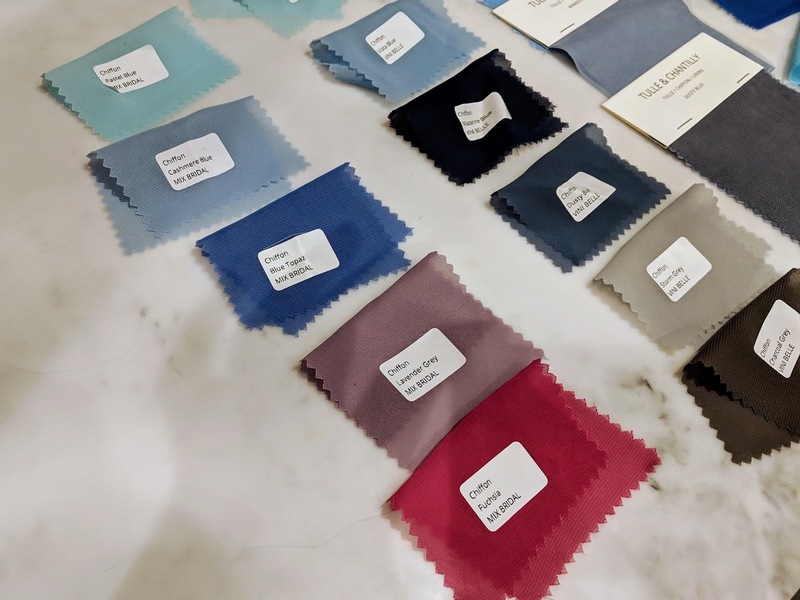 She came out to measure the room, drew up a few designs and allowed us to change it many times, and recommended colours and worktops. We chose a marble-effect worktop which is actually a solid acrylic (it smelt like a nail bar when it was being installed). It's called Minerva in Carrara White and was cheaper than real marble but feels cold and solid like marble does. It's also not a laminate so wears really well and looks expensive. We got it from Locks Online as it was much cheaper than going through Magnet. Initially, when the kitchen of my dreams was priced up, I was really disappointed that with fitting it was going to be about £5k over budget. However Tina said to us, we should go away and google everything on the list and get it elsewhere if it was cheaper. Super Sam went away and did this one weekend and managed to get it all under budget including fitting! Out of this alcove was a breakfast bar which was taking up loads of room. We decided not to have it anymore to give us more space as the whole area inside the chimney breast was wasted. We also used that area to keep the microwave so had the builders put in an electric socket. I also now have my mixer in that nook, but when I took the photos I had lent it to a friend to make her wedding cake! My favourite part of the kitchen is our "Welcome to Bournemouth" sign. 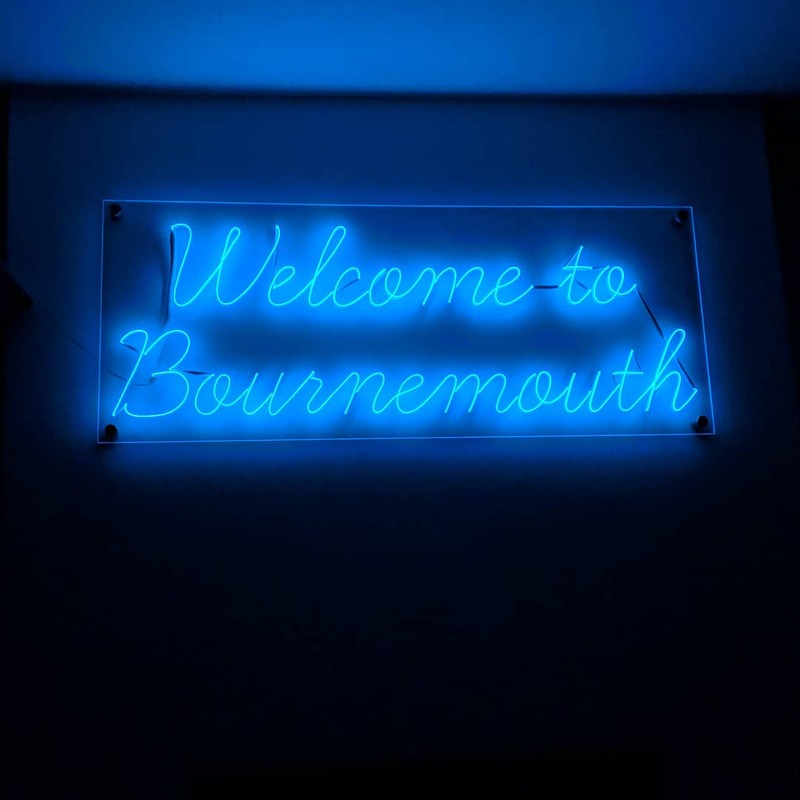 A few years ago, the town had a new bridge installed on the main road into Bournemouth with "WELCOME TO BOURNEMOUTH" in blue neon light. It had mixed reactions with some (like us) liking it, and others thinking it looked cheap and tacky. I had our own version made by Nailed It by Holly who makes fantastic custom neon-style signs. Ours was £160 and it's huge! We also got a copper tap from Magnet, but sourced the sink from Plumbworld. We also got an integrated washing machine and dishwasher separately from John Lewis who were cheapest for all appliances and also come with a 2 year warranty. On this side of the wall, there was the fridge freezer over the window originally, a normal radiator on the wall and the boiler next to the window. Tina had the idea to have a long cupboard over the boiler and piping which has no shelves so we can store the hoover in there. The other side is my cleaning "narnia" cupboard. We also had this upright radiator put in which I love. The mat on the floor is for the dog food bowls. We got this amazing custom table and benches from Trentside Furniture. It's the H-bar table and it's in grey finish. The flooring was from Homebase and clips together like laminate so it's easy to install, cheaper than tiles and also warmer. I also don't have to worry about cracking a tile when I drop things! Our in case of emergency teabag was from Glyphbox, the small rubber plant was from Crocus and the huge one was from Lidl. With the copper, I had to think a lot about how I wanted to accessoriese. I wanted to keep some of he copper elements there, but without going overboard and matchy matchy. We chose to keep the old silver bin as it went with the silver fridge freezer and the silver tones on the appliances, but decided to get copper tea canisters from Next However we got the black and copper touches bread bin. Next to the fridge/freezer, is our larder cupboard where I've put all the baking things, bottles, oils etc. It's a great space and I've found it so handy. I'm looking for a tall wine rack for on top of the fridge but currently I have wicker basket with kitchen manuals (while I learn how to work the new appliances) and our engagement champagne bottles. I can't bring myself to open them. Again, the oven, hob and cooker hood were all from John Lewis. I know it's really lame, but I am so impressed with the oven and hob! The oven is a Zanussi and comes with loads of different modes including pizza mode and has a self-clean function. The hob is really chunky and looks great quality. It's also got minimal features so its much easier to clean than our old one which keeps Sam happy. Overall, we love the new kitchen. I'm glad we went with a fitter because it took 2 weeks rather than months. We're spending loads more time in the kitchen and love having the table to eat meals at. We've not had any issues so far with a white counter - the marks wipe off really easily. The lighting is amazing and I really enjoy cooking in there. I'm so happy with it!